Out shopping for Christmas presents the other morning, I may have accidentally picked up a couple of things for myself.. 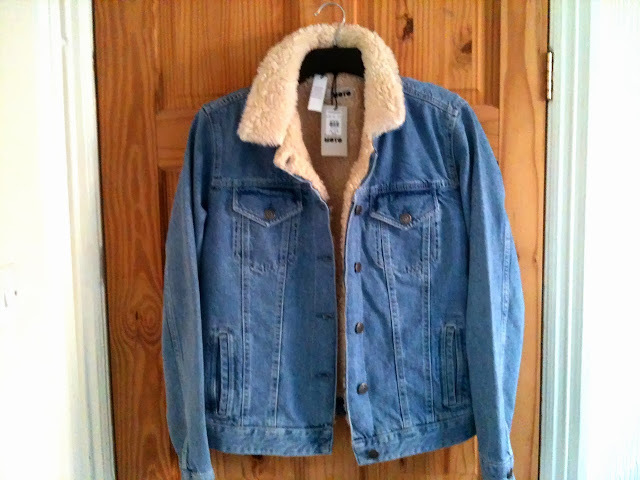 The first being this gorgeous coat from Topshop. This was a bit of an impulse buy and I am unsure whether to keep it. It's simply a denim jacket with fleece lining the insides and a little fleecy collar. I do love it, it fits lovely and I think it goes really nice with almost anything, but I'm not sure if it's worth the price I paid for it. I've left the tags on in case I change my mind, but we'll see. 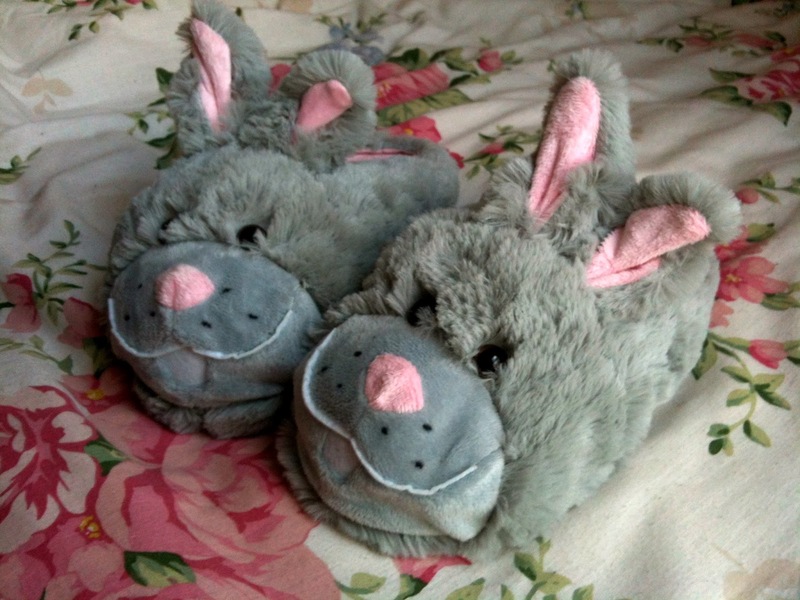 Next are these adorable little bunny slippers, these are not going anywhere, they're staying with me. I bought these from Primark, after looking for some rabbit slippers for a while, I found some perfect ones for only £5. There are so fluffy and keep my feet so warm, as well as looking really cute. I only bought a couple of things, the majority of what I came home with were Christmas presents. Only one more shopping trip and I should be done for this year! Is anyone else guilty of going Christmas shopping and buying things for themselves? Let me know.